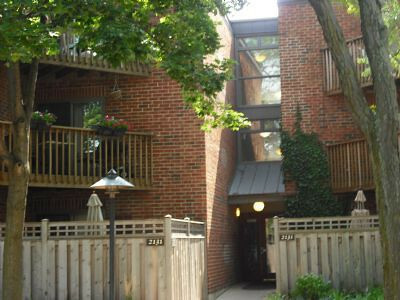 Renovated 2 bedroom 2 bathroom condo for rent in Lincoln Park. First floor unit with large private walk-out patio, hardwood floors, carpeted bedrooms, jacuzzi tub, laundry in-unit, central HVAC. Both bedrooms are carpeted, kitchen updated with granite counters & stainless steel appliances. Across the street from OZ Park (tennis courts, basketball courts, outdoor space).